For Halloween we partnered with Sugarsuckle and Sarina Scheepers Photography to bring Hoboken a Costume and Cookie's event. Kids and their families baked and decorated cookies with Sugarsuckle, created woodland pumpkins and played pin the spider on the web with POPSERI, and had their photos taken by Sarina Scheepers. 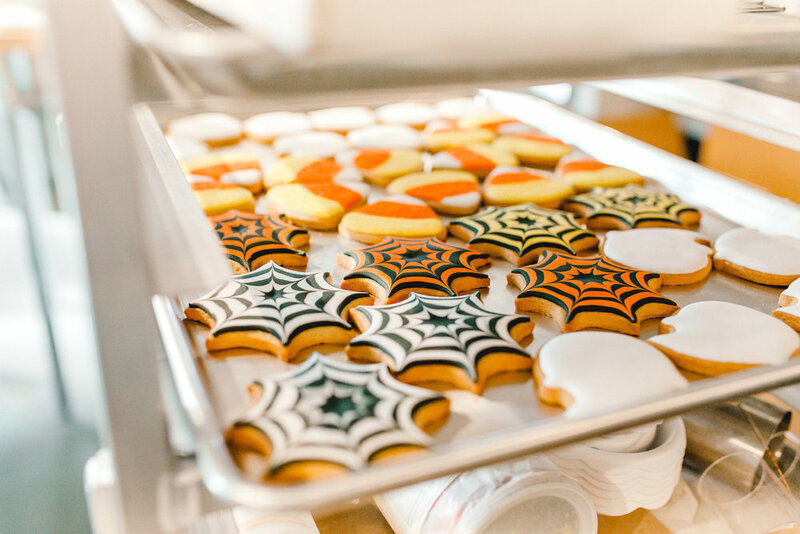 We featured the POPSERI Halloween Party Box to create a little glam while having milk and cookies. We had a witchin' time! Cauldron and bat and moon toppers included in the Halloween party box. Halloween cookie baking in progress. Costumes and Cookies event at Sugarsuckle featuring the Tinsel Halloween Party Box. Photo by Sarina Scheepers Photography.